Miyano Spindle repair is at the heart of our business. We have the expertise and in-house technology to get your problem resolved. Our thorough procedures for machine tool spindle failure analysis, spindle calibration, and spindle testing are just a few of the reasons why we are one of the largest spindle repair specialists in the country. 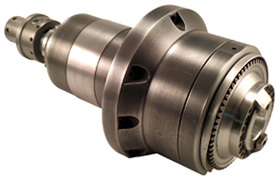 Our primary goal is to reduce your down time and return to you a spindle that runs better than it did when it was new. Anytime. We have someone (yes, a person) taking customer calls 24 hours a day, 7 days a week. AND we pick up and deliver. We have three state-of-the-art facilities located in the U.S., so you can save on shipping time and cost. OR in some cases we can come to your site and do the Miyano spindle repair at your location. When your Miyano spindle arrives at our facility we log it in and create a work order. This way we can track its progress throughout the repair process. Then comes a visual inspection as we look for any obvious signs of damage or other factors that often lead to spindle failure. Our trained technicians have been repairing spindles for years and know how to look for the most common indications of malfunction as well as those that are uncommon. We also do a preliminary vibration analysis so we can make an initial diagnosis before disassembly. We do a number of tests to see how the Miyano spindle compares to the OEM specs. We check the run out, alignment, optimal tolerance levels for housing bores as well as shaft journals and parallelism. We want to get at the origin of the failure so we can get it fixed right and give you guidance on how to circumvent future spindle issues. All of this information is written up in detail to help you take steps to avoid future spindle failures that can lead to down time and loss of productivity. 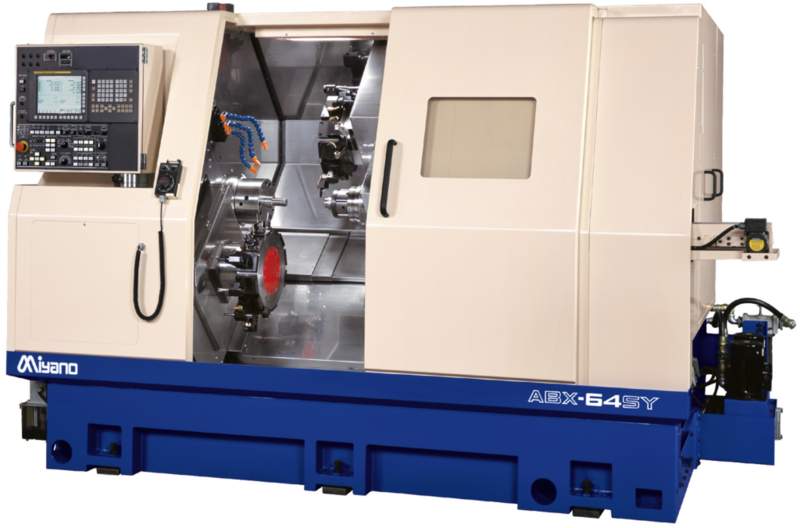 If we need to manufacture new Miyano spindle components to replace one that is broken or damaged beyond repair, then we can do that in our on-site machine shop. Having in-house machining capability means we can manufacture replacement spindle parts without having to rely on the OEM. This saves valuable time and saves you money. Now that it’s put back together we test, test, test it. We test it for runout, temperature, and vibration. We do this work in increments, increasing RPM from 0 to the maximum RPM to insure the spindle is properly broken in. We will then continue to test run at maximum RPM until we feel confident that your Miyano spindle is performing optimally—which is often better than when it was new. Final vibration test will read at .0395 over all velocity and the displacement specs will meet the recommended ISO grade scale. Every Miyano spindle that we rebuild is then put through a redundant final QC process by an independent QC audit technician to insure that all of our rebuild processes and specifications have been achieved or exceeded. We paint and pack your newly repaired spindle in non-corrosive packing material and encase it in foam. It gets shipped to you either in a heavy duty shipping box or, if it’s a large spindle, we custom build a wooden crate with custom support brackets to ensure its safe return to your facility. When you unpack your Miyano spindle you’ll not only be pleased with how it looks but you’ll be amazed at how well it performs. Our Miyano spindle repair service will give you a spindle that will return to the floor as good as new. We offer one year warranty after every repair and re manufacturing. Call us at 888.473.9675 or you can mail us at info@gtispindle.com for an estimate on time and cost.